Home » Anti-Imperialist Front » DECLARATIONS » THOSE WHO PERSIST IN REVOLUTION WILL BE IN TAKSIM, THE NEST OF THOSE WHO SEEK CONCILIATION AND SURRENDER WILL BE IN MALTEPE! THOSE WHO PERSIST IN REVOLUTION WILL BE IN TAKSIM, THE NEST OF THOSE WHO SEEK CONCILIATION AND SURRENDER WILL BE IN MALTEPE! The location: is the place where heart of revolution and struggle beat! 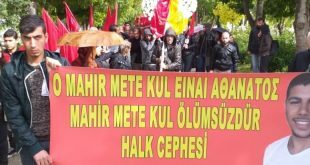 The directors of what the workers call the quartet of gangs, DISK, KESK, TMMOB and TTB issued a statement on April 10, saying that they would celebrate May Day in Istanbul-Maltepe. We are asking who was consulted about the decision for such a date as May 1, of interest to millions of workers? The answer to this question is obvious. They took this decision without bothering to consult their millions of workers, civil servants, health workers, engineers or architects. They did not make the decision for themselves but for the AKP interior minister and the governor of Istanbul. Those Who Have No Will Cannot Represent The Workers And Are Not Doing So! These trade unions and chambers which claim to be democratic never asked their own workers about their decision for May Day, instead consulting the AKP Interior Ministry and the governor. This is why they are not democratic and they lose any democratic character by not struggling for May Day against fascism and by taking decisions at the behest of fascism. When they made their statement for May Day in Maltepe, the Front said, we will be in Taksim on May Day. Because this is what Kurds, Turks, Alevis, Sunnis and oppressed workers from the peoples of Turkey expect from us. Because in the world and in our country, in 1977 and in 1989 and in 1996, the martyrs of May Day murdered by fascism expect this of us. The others yet again betrayed the historical essence of May Day. We once again go down the road in line with the historical and political essence of May Day. WHAT IS MAY DAY, WHY IS IT IMPORTANT? WHAT IS ITS PLACE IN THE HISOTRY OF OUR COUNTRY AND THE WORLD? MAY DAY CANNOT BE UNDERSTOOD WITHOUT COMPREHENDING THESE TRUTHS. IT IS EVEN TREATED AS A “MEANINGLESS FIGHT, A DAY OF STUBBORNNESS”. MAY DAY IS A DATE: IT IS THE HISTORY OF CLASS STRUGGLE. IT IS THE HISTORY OF THE REVOLUTIONARY STRUGGLE. IT IS A PART OF IT. WE SUPPORTERS OF THE FRONT HAVE CONTINUED ON THE ROAD OF MAY DAY’S ESSENTIAL NATURE. BECAUSE THIS ROAD IS THE ROAD OF REVOLUTION. 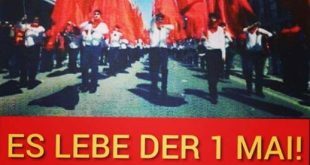 We are not wrong if we say that May 1 is the birthday of the world proletariat. Because it is the day when the proletariat entered into combat with the bourgeoisie in an organised and conscious way, fighting for power. The first source of May Day extends back to 1886, to the struggle of the workers in America for an 8-hour working day. This looks like an economic demand and indeed it is. 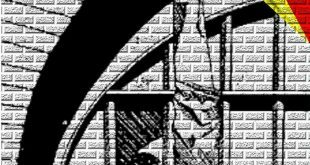 But imprisoning May Day within economic demands is a denial of the history of May Day. The workers have been in conflict with the bourgeoisie ever since they stepped onto the stage of history. To begin with they had no aim. They were made to work for periods of 15 or 16 hours or more and were not men, women or children, but slaves. They saw their machines as being responsible for their having the working conditions of slaves. For this reason they broke the machines for they had no thought of an alternative to the system itself. The struggle for an 8-hour day was the sign that the working class was entering onto the stage of history in an organised form. In America actions started in 1886 for the demand of an 8-hour day… There was a price to be paid in blood and lives for this goal. Once again, the bourgeoisie spilled our blood, we won our struggle for an 8-hour day. In 1889 the International decided that this struggle was the struggle of all the workers of the world. The First of May was announced as the DAY OF STRUGGLE AND SOLIDARITY of the world proletariat. May 1 was clearly an open confrontation with the bourgeoisie in the class sense. The working class ceased being a class “of itself” and started to be a class “for itself” and it continued to be a force waging a struggle as the working class for its own power and socialism. And all over the world May Days took on the content of a march of the working class towards revolution and socialism. The history of 128 May Days is a history of battle – a battle moved forward and continued at the cost of blood and lives. The working class has found it bloody to defend the rights it has won and to gain new rights. Whenever anyone went out into the city squares they had to pay a price. May 1 is also historical for the bourgeoisie. Its attitude to May Day is very clear and class conscious, in that it tries to imprison May 1 in the form of an ordinary day distanced from struggle if it is celebrated at all. If it was limited to a matter of the workers putting forward some economic demands, the bourgeoisie would not have tried to destroy it over the course of centuries. It would not have been a matter of spilling blood and an outpouring of anger in the class struggle. From its very first years, May Day was a nightmare and source of fear for the bourgeoisie. Today before every May Day the oligarchy’s statements and press headlines are along the lines of “MAY DAY ALARM” and incidents might happen, but the first time this kind of reporting happened was in the American and British press in 1892. Because in 1889 the First International announced May Day and in 1890 a very impressive and effective May Day celebration took place. It reached millions. Nor was it “just a crowd” – it expressed a class that knew what it was fighting for – the working class, the most revolutionary in history. The bourgeoisie began to fear. So it gave the ALARM. This became a classic statement before and on May Day. This statement was written down 100 years ago. It was found in the press of Tsarist Russia in 1912. Tsarism and the bourgeoisie were afraid. And their fear caused them to spread terror. And in our country and the world, this has been the essence of May Day that has continued. They give the alarm. They say, “Provocateurs will start incidents.” To prevent this they carry out operations. They ban May Day. They put areas where workers live under siege. Sometimes an entire province is placed under martial law, overtly or covertly. And if blood is spilled on May Day, it is the blood of workers. This is May Day’s name in history. A statement of its class significance. A fight, a class, will be experienced. There is no escaping this. There is no middle way. For this is the class struggle – the struggle between two classes. An irreconcilable struggle between the proletariat and the bourgeoisie… Every May Day witnesses this struggle. Whether you fight from street to street or dance the halay in your neighbourhood, the essence remains labour’s fight against capital. In Anatolia the first celebration of May Day was in Ottoman times in Izmir, in 1905. Then it was held in Skopje (now in Macedonia) in 1909. The first celebration in Istanbul of May Day was in 1910. In 1920 the workers raised the banner of “Independent Turkey”. Because Anatolia and Istanbul were under occupation. On May Day 1923 a large number of workers in locally-owned and foreign-owned factories went on strike. Among the demands of the workers were “the confiscation of foreign firms, the official celebration of May Day as a workers’ holiday, an 8-hour day, a week’s holiday and the right to strike and organise trade unions.” Many workers were jailed. The occupation ended, the imperialist enemy departed, the Republic was founded but the government was no government of the workers. The petit bourgeois Kemalist government took over the Ottoman tradition of issuing circulars ordering repression. In 1924 workers wanting to celebrate May Day as the “workers’ holiday” were prevented and a number of workers who handed out leaflets for an 8-hour working day were jailed. In 1925 the Takrir-I Sukun law was issued, after which celebrations were banned, but up to 1935 they could be held in secret. After this they were declared to be “banned”. The petit bourgeois Kemalist government did not fail to notice that it was insufficient to ban May Day and jail workers for making demands. So in 1935 it issued a “Law On The National Holiday And General Holidays” and this included days off for a “Spring And Flower Festival”. In our country the first large-scale mass May Day was 1976. There were 400,000 workers in Taksim. A year later there was an even more impressive and larger one and the oligarchy resorted to a massacre on May 1, 1977. An oligarchic state collaborating with imperialism fired on hundreds of thousands of workers in Taksim Square on that day. Thirty-five of our people were murdered. Hundreds were wounded. Henceforth May Day was red. The meaning of May Day in Taksim henceforth had an even greater significance. Taksim Square meant us not forgetting the massacre and demanding a reckoning from the murderers. Taksim Square was no longer any old square, it was the First of May Square. After the pro-American fascist junta of September 12, 1980, the Front supporters who said “the target is Taksim” ensured it would not be forgotten and others would not be allowed to forget. Once again the murderers came out onto the stage – a Front worker, Mehmet Akif Dalci, was shot and killed during the struggle to get into Taksim. In 1989 our blood flowed like in 1977. The blood did not dry in Taksim Square. Henceforth it had a special significance for followers of the Front. “We embraced your young anger/We had handfuls of stones/Our fight is the fight you taught us/Our shoulders will build it up” –We fought our way into Taksim Square singing this, on the road of Mehmet Akif Dalci. Akif Dalci became a symbol of Taksim Square on May Day. In 1996 one of the largest rallies since 1980 took place. Roughly 150,000 workers crowded into Kadikoy Iskele (Wharf) Square and came under fire. They gave martyrs but kept marching. Three revolutionary workers were murdered. And 2010… 32 years later hundreds of thousands again filled First of May Square, Taksim Square. Over 200,000 worker participants carried out an impressive celebration with great cheerfulness and enthusiasm. 2010 was the victory of our persistence and revolutionary politics. Hundreds of thousands gave an answer, as the proletariat, to those who said the proletariat had departed. In a country under the conditions of fascism, the largest and most revolutionary May Day in the world took place. The struggle for Taksim has been one of the important cornerstones of our struggle – uninterrupted revolution. This short history summarises a great many things. 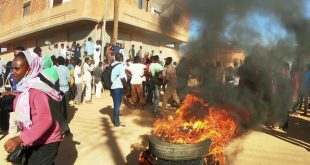 Despite all repression, massacres, bans, provocations, efforts to drop it down the memory hole, despite politics aiming to take away its revolutionary essence and content with demagogy about “a holiday of spring”, a “festival, not a day of conflict”, we continued to go forward on the road of May Day. This road is the road of liberation for the peoples of the world. The road of independence against imperialism, democracy against fascism, socialism against exploitation. It was not simply the bourgeoisie and the oligarchy that has tried to get us to turn back from our road. We have also waged a comparable war on reformism and opportunism, the extensions of bourgeois ideology inside the workers’ movement. We overcame all barricades with our irreconcilable line. By paying the price we overcame all repression and massacres. The bourgeoisie would not give up. We have never hoped for an easy fight, an easy struggle and easy revolution. 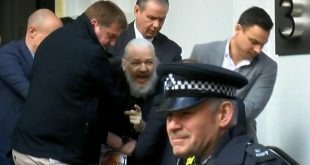 PARTICULARLY SINCE THE 1980S, THE BOURGEOISIE HAS CONTINUED THE IDEOLOGICAL STRUGGLE WITH ITS THESIS THAT “THE EPOCH OF CLASS STRUGGLE IS OVER”. PREVIOUSLY IT ELIMINATED “CLASSES”, THEN IT ANNOUNCED THAT CLASS CONSCIOUSNESS WAS “DINOSAUR BEHAVIOUR” AND “ADDICTION TO THE PAST” AND “DOGMATISM”, AND IT DEVELOPED THEORIES THAT STRUGGLE WAS UNNECESSARY. TOGETHER WITH COUNTER-REVOLUTIONS IN THE SOCIALIST COUNTRIES AT THE START OF THE 1990S, BOURGEOIS THOUGHTS GAINED GROUND AMONG A WIDE SECTION OF THE LEFT AND FOUND ACCEPTANCE. WE IN THE FRONT WERE NOT AFFECTED BY THIS LIQUIDATIONISM. EVERYONE CHANGED BUT WE DID NOT. WE BCAME RED WITH THE BLOOD OF 1977 MAY DAY IN TAKSIM SQUARE AND THOSE LIKE AKIF DALCI IN 1989. In the class struggle the bourgeoisie uses two vehicles in particular – physical and ideological attacks. From the past to today, the bourgeoisie has become expert in these attacks. The means for carrying them out have become more sophisticated. But the essence has not changed. From the viewpoint of the class conscious, it is not difficult for the bourgeoisie to seek out every sort of clever method. The bourgeoisie aims to be the victor over the working class in its fight. It wants to get the working class to bow down to being slaves. It wants the workers to stay away from the fight and from organising for power. In short, the bourgeoisie which has been defeated historically and politically seeks to extend its own life through war. This concept is also echoed in the struggle for May Day. While on the one hand they seek to distance May Day from its revolutionary content and imprison it in economism, as well as distancing it from internationalism, on the other they have forgotten nothing of the importance of May Day as they use every kind of politics and policy to eliminate the internationalist and socialist essence of May Day. In our country, an example of this is holding “spring celebrations”. The expression “a holiday and not a day for fighting” is not independent of this. At the start of the 1990s, the ideological offensive found more secure grounds in the counter-revolutions and the undermining of the socialist bloc. Revolutionary and socialist values were under attack. May Days also came in for their share of this. The reformist left did not fail to join this attack. Opportunism for its part wavered between revolutionary politics and the bourgeoisie’s attacks through the influence of reformism. They wanted May Day to be forgotten. It was not. Then they wanted it to be imprisoned inside meeting halls. Again it was not. With revolutionaries in the vanguard the workers poured into the squares and Taksim Square. They did not run from clashes. So then thoughts spread of removing May Day from Taksim. A May Day without clashes and fights. Reformists put all the responsibility for May Day onto the trade unions. According to them, the trade unions represented the toilers. Never mind that the trade union leaderships were controlled by reformists. They administered in such a way as to obey the oligarchy and liquidate revolutionary trade unions. Opportunism wanted to flee from its responsibilities and embrace this reformist understanding. This was an informed and conscious policy. In following years this concept became more definite. The toilers were to have as their class representatives the trade unions of workers and civil servants if there were trade unions at all. Those who stayed out of the unions were marginal groups cut off from the class. In this period, the reformists sought to destroy the revolutionary essence of May Day by drawing a thick line between itself and revolutionaries and trying to keep revolutionaries out of May Day. So much so that trade union leaders would make speeches for show on May Day and try to finish the festivities quite chaotically while the revolutionaries were trying to fight their way into the squares. They wanted May Day over by the time revolutionaries got there. 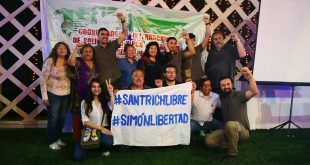 In every situation, reformism left revolutionaries and those workers who were trying to preserve the essence of May Day to be attacked by the forces of the oligarchy. They did not succeed. May Day gained significance through the supporters of the Front. Front contingents spoke and argued and became the politics of May Day. The oligarchy and reformism could not distance the Front from the workers. In every situation we were the ones who attracted more of the masses. In 1996 in the face of a magnificent contingent of 30,000 workers being headed by the Party-Front’s banners, we made the bourgeois press ask how “an illegal organisation could attract such numbers”. Many who had lost hope in revolution experienced the enthusiasm for revolution again through the magnificence of our contingent. It is important to examine how the bourgeoisie and the oligarchy have sought to liquidate May Day in order to understand the significance of May Day and the struggle for Taksim. AMONG THE LEFT, WE HAVE SEEN HOW OUR PERSISTENCE AS REGARDS MAY DAY IN TAKSIM HAS GIVEN RISE TO A LOT OF DISTORTIONS AND DEMAGOGY. THEY SAID IT WAS “STUBBORNNESS”. THEY SAID IT WAS “FETISHISM ABOUT A PLACE”. THEY SAID “THE CLASS IS WHEREVER WE ARE”. THEY SAID “WE MUST BE WHEREVER MAY DAY IS CELEBRATED BY THE MOST PEOPLE”. THERE WAS A LOT MORE DEMAGOGY THAN THAT. 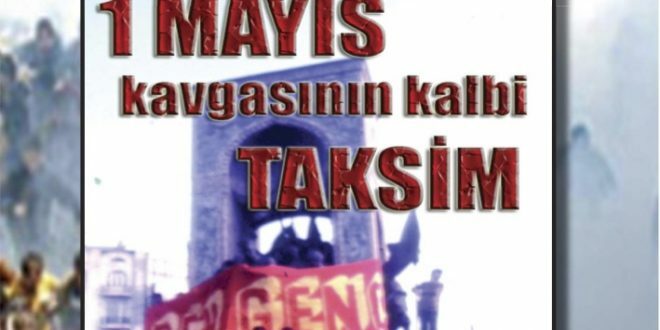 WE ESTABLISHED THE REVOLUTIONARY MAY DAY COMMITTEE TO PURSUE OUR PERSISTENCE AS REGARDS TAKSIM. AND WE MANAGED TO MAKE THE OLIGARCHY ACCEPT TAKSIM. EVERYONE CAME WHEN IT WAS DECLARED TO BE A LEGAL HOLIDAY. HOWEVER THIS WAS A CLASS BATTLE, A REVOLUTIONARY STRUGGLE. THE ROAD OF REVOLUTION HAS MANY TWISTS AND TURNS. AKP FASCISM SAW MAY DAY AND TOOK FRIGHT IN THE END. AGAIN IT WAS BANNED. THE ATTACKS INTENSIFIED. WHEN IT WAS LEGAL, THOSE WHO CAME TO TAKSIM AND TRIED TO PUSH THE FRONT SUPPORTERS TO THE BACK SUDDENLY FORGOT ABOUT TAKSIM. THEY WERE IMPRISONED BY THE LIMITS SET BY THE BOURGEOISIE. THEY TRIED TO LEGITIMISE SURRENDER… THEY SAID IT WAS REASONABLE TO LEAVE A WREATH, “UNDER THE STATE OF EMERGENCY CONDITIONS THE STRUGGLE CANNOT BE WAGED, COME TO MALTEPE”… WE FRONT SUPPORTERS AGAIN SAY TAKSIM. BECAUSE WE SPEAK OF REVOLUTION. BECAUSE WE SPEAK OF LIBERATION. You cannot succeed! You cannot get the oppressed to make peace with the oppressor, the exploited with the exploiter, the oppressed peoples with imperialists and the oligarchy. You cannot set them side by side. The bourgeoisie has waged this fight for over a century. There is no method it did not try. It did not succeed. Reformism and opportunism will also fail. This is a historical and political reality – the class struggle cannot be stopped. This struggle will end with the proletariat removing the bourgeoisie from power and putting it in the dustbin of history. Historically and politically the proletariat has won a great deal from this struggle. The problem is one of announcing it properly. And we are at the forefront of this glorious fight. An area’s importance has value based on its history, and from its place in the class struggle and the process it has gone through. A position is a field of battle won or lost based on how the struggle has played out. A position is where the heart of the struggle beats. Such a position is Taksim. It is beyond dispute that the essence of May Day is the struggle for socialism. The essence of Taksim on May Day is a tooth and nail conflict with fascism. It is the struggle of revolution against the system. It is the struggle for rights and freedoms against fascism. It is a war of wills between the peoples of Turkey and the oligarchy. For 10 years the oligarchy did not dispense with bans on Taksim, it used every ideological, political and physical means to stop workers and revolutionaries from getting into Taksim and continues to use them as it is fully aware of the truth. Our blood has flowed in Taksim. Apart from the historical and political roots it has moral significance for us. The struggle for Taksim is at the same time a historical reckoning with fascism. Taksim is at the same time a call to the left to demand a reckoning. Nearly every year we have tirelessly given reminders of this. The debate about Taksim is a debate about how to wage the democratic struggle under existing conditions, and how the working class may develop the struggle and how it understands it. It may be said that revolutionaries and the Taksim struggle is not a matter of a struggle against fascism. It is essentially a struggle against reformism and opportunism. They say, “We do not want an incident to occur.” They go further and say, “If we go out into Taksim the police will attack, and the morale of the workers will be damaged.” “If we say Taksim, it is not attended by the masses, the best answer to the AKP is a mass and united May Day,” they say. Reformism/opportunism deceives itself, and over and above that it is clear that it deceives the working class and our peoples. What they have done yesterday and today is to strengthen AKP fascism. Their manoeuvres win the ground for fascism. When fascism narrows their field the workers are made to withdraw. They are abandoning the workers to the attacks of fascism. And they are lying about making it mass and united. Mass action and unity at fascism’s behest does not strengthen the workers, it strengthens fascism. In the history of our country the May Days that united all the people and were best-attended were the May Day celebrations in Taksim with revolutionaries to the fore. They say they do not want incidents. What they call “incidents” is a war of wills with fascism, a war for position, a reckoning with fascism for its massacres. They do not want that and they flee from it. And it is clear they will not fight for the rights of the workers, civil servants, engineers and architects, health workers and the poor they say they represent if they will not fight for May Day. WHERE THE ‘LEFT’HAS UNITED IS IN A PLACE AKP FASCISM HAS DESIGNATED AS A LEGAL MEETING PLACE, AS FAR FROM TAKSIM AS POSSIBLE. THERE IS NO LIMIT TO THEIR STEPS BACKWARD… TODAY IT MAY SEEM REASONABLE TO ACCEPT WHAT THE GOVERNMENT OFFERS, BUT FASCISM IS NOT SATISFIED WITH EVEN THIS AND WILL RESORT TO NEW REPRESSION AND BANS! Fascism naturally does not give up until it pushes things as far back as it finds convenient for itself. Today it aims at the liquidation of the left… But it will not liquidate the Front. Revolutionaries persist with Taksim, those in the nest of conciliation and surrender will go to Maltepe. We call all our peoples to join the ranks of the Front in Taksim on May Day. All Front supporters call all our peoples, workers, the poor to go out into Taksim on May Day and take it over. This is our fight, our invitation, our future! Down with fascism, down with surrender!